As the Sun in Gemini aligns positively with expansive Jupiter, this upbeat energy can enhance confidence and encourage us to be bolder than usual. As sociable Venus connects with the electric energies of Uranus in your sign, a conversation or buzzy encounter could capture your attention and prove very engaging. In fact, other influences reveal this is the perfect time for mingling and networking, as you can gain a lot from doing so. From tomorrow though, taking a step back from life can seem ironically, very appealing. A desire for change can be the turning point that enables you to let go of emotions that may have come to the surface recently. Venus’s tie with Uranus in a subtle sector of your chart could coincide with insights that allow you to see a relationship for what it is, and this could make all the difference. Linked to this, you might feel a makeover could gift you with a fresh start. A positive set of influences can make for a lively and convivial weekend when you may be busy arranging or attending events. And you can certainly benefit from getting involved, as new encounters might spark fresh opportunities, encouraging an exchange of information and leaving you more upbeat. But certain responsibilities might need attention too, so balance is required. From tomorrow, you may begin to feel more vital, energized and keen to interact. However, as the Sun will remain in your psychological sector for another two weeks or so, and as it is aligned with Neptune, the coming days can be a call to explore beliefs that you may have taken for granted. If something isn’t working, you may now have the courage to reason why, Cancer. With the Sun in your social sector angling towards a more ethereal influence in your sector of change, a meeting with someone could help you to see yourself in a new light. A discussion with them could highlight a side of you that you have never noticed and that might be a blind spot. But your horoscope reveals the upshot of this may be an opportunity to embrace what has so far been hidden. 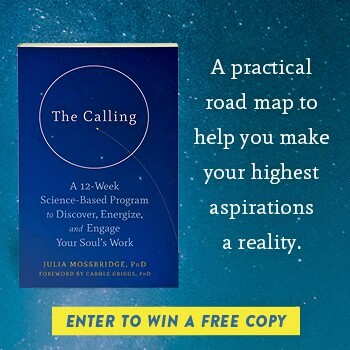 Although it can be easy to fall for a get-rich-quick-scheme, or anything that promises fast rewards, the celestial picture suggests taking a closer look at what’s involved. It may be best to trust your instincts if you are interested, especially if you sense something is not quite right. However, one opportunity could be very good for you, but you may need to take some time to spot it. With the Sun in your sector of higher wisdom aligning positively with the expansive qualities of Jupiter in your sign, you may feel an urge to accept a challenge or to start a project that will take you out of your comfort zone, which is all to the good. However, you might need to keep your resolve firm, as family or friends could offer you a variety of pleasant distractions, Libra. Don’t feel you have to prove anything over coming days, as it is enough to allow yourself access to your authentic nature. A positive connection encourages you to embrace thoughts and feelings generated by a key experience. This may be more than enough for now, as the more you are willing to welcome even difficult emotions, the more liberated and at ease you could feel. Although you may relish light-hearted opportunities for socializing and getting out and about, from tomorrow the mood can change as Mars enters a more intense sector. And you may be getting a sense of this now as certain activities, though a lot of fun, could also seem a tad trivial. Even so, this likely won’t stop you from enjoying an encounter that can boost your spirits. This weekend can be excellent for entertaining at home and connecting with people you may not have seen in a while. As Venus links to Uranus in your domestic sector, it is also possible that an unexpected friend or guest may show up and you can relish their company. Another more mesmeric link suggests that there might be a possibility of mixed messages, so go easy. After a period where you may have allowed yourself time out and the chance to indulge more than usual, you might be ready to make a commitment regarding your health and well-being. From tomorrow, the presence of Mars in your lifestyle sector can stir up a desire to adopt positive habits that could leave you feeling much fitter and perhaps as a result a lot more confident too. As the Sun in your home zone angles towards Neptune in your sign, it would be no surprise if you felt less keen to tackle domestic tasks. However long your to-do list over this weekend, you may find that reducing it to a more manageable level might help you to make a start. Mind, this influence can also incline you to enjoy a book or a movie, and may be a call to unwind.